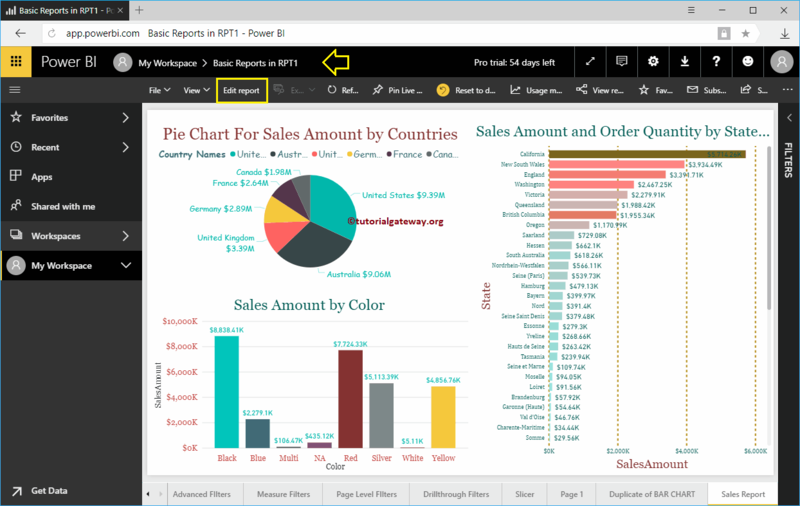 In Power BI, you can use the complete report as the Q&A suggestion. 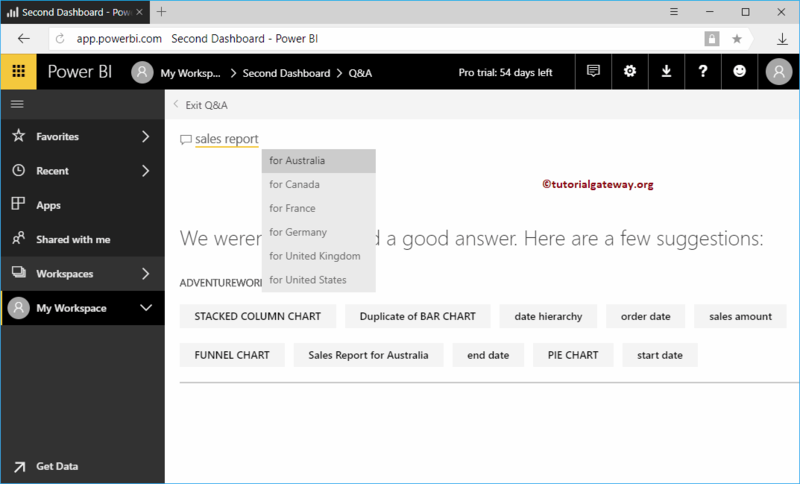 I mean, you can display a complete report with filters under the Q&A suggestions list. 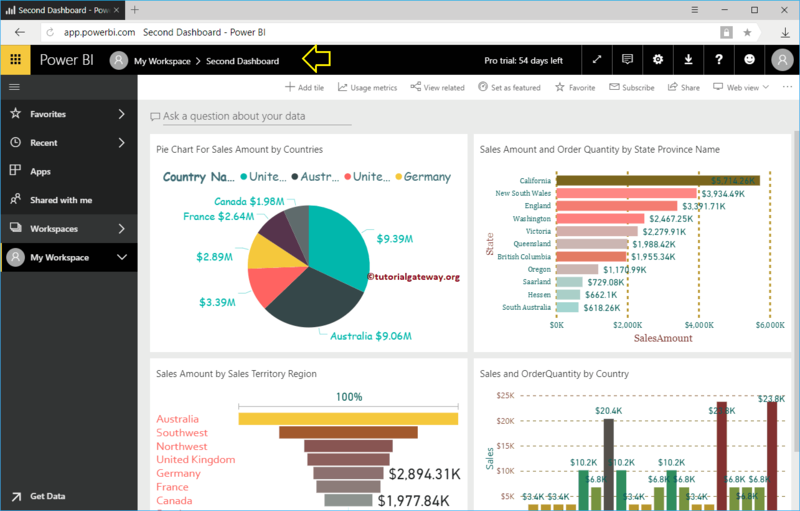 In this article, we will show you, How to use these Power BI Q&A Advanced options with a practical example. TIP: I suggest you refer Q&A Introduction article to under the introduction part and Customize Q&A suggestions article to add your own set of questions. 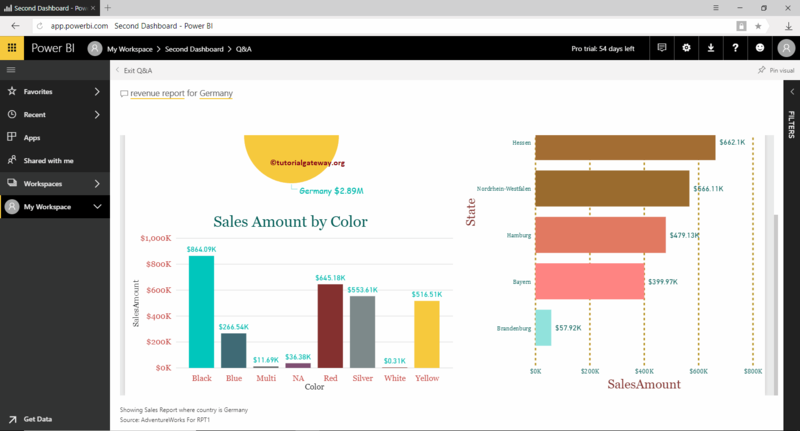 For this demonstration, we are using Second Dashboard. 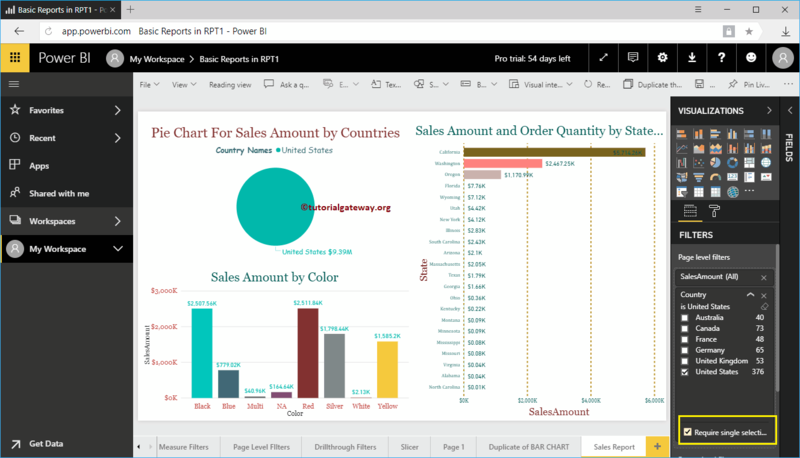 In this example, we are using the Sales Report present in Basic Reports in RPT1. I suggest you to refer, Page Level Filters to understand this report, and Publish report from Desktop to understand the Dataset. Next, we added Country to Page Level Filter. I suggest you refer to Page Level Filter article. We selected Require Single Selection, and then selected the United States as the Default value. 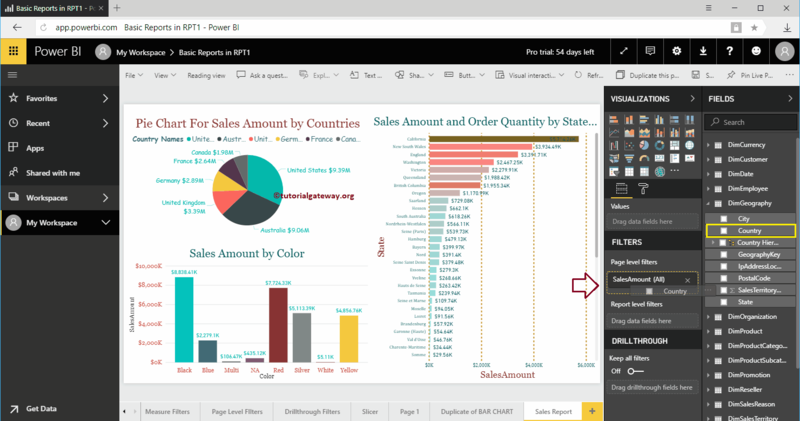 Next, go to the Page Settings tab, and add your questions inside the page information. As you can see, we added three terms. Let me go to the Second dashboard Q&A window. When I type sales report, it is asking for the country name. Let me select Australia. 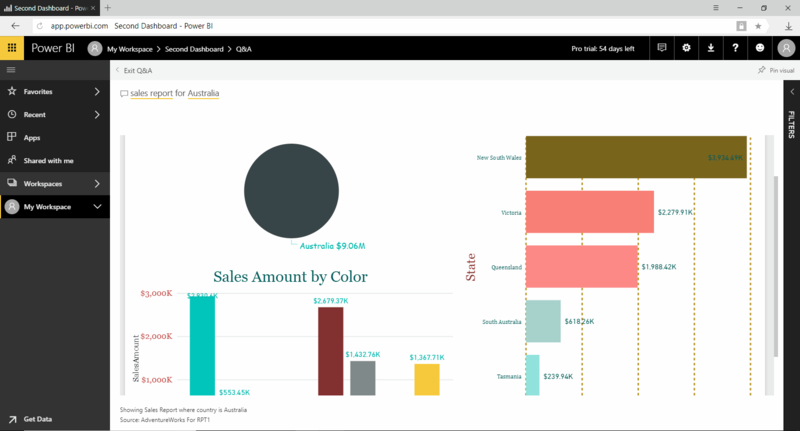 You can see that it displays the complete report filtered by Australia.